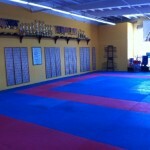 IKM San Diego is your source for Krav Maga. IKM San Diego has classes in Carlsbad Ca. Instructor Benjamin Halcewicz is taking Krav Maga for San Diego to the next level with the influence of Karate and Jiu Jitsu. Benjamin brought his martial arts talents to San Diego at the age of 22, and is also when he discovered Krav Maga, in which he has been training for more than 10yrs. His dedication to Krav Maga in San Diego has earned him the privilege of running his own Krav Maga programs all over the San Diego area; he has used his skills and talents in a group class setting, private/small group sessions, and focused children’s or women’s sessions. Benjamin has had the honor of training with Gabi Noah, a direct student of the founder of Krav Maga (Imi lichtenfeld) and also elite Karate Sensei’s who were direct students of the founder of Karate (Mr. Nishiyama of the Shotokan method and Mr. Miki of the Shito Ryu method). Some of Benjamin’s other passions include Brazilian Jiu Jitsu and Surfing, his educational accomplishments include a degree in Sports Education (from France) and 1st aid certification. For more information on Krav Maga in San Diego contact instructor Benjamin Halcewicz at (858) 349-8795. Benjamin Halcewicz is the head instructor at IKM San Diego. He is highly proficient in Krav Maga and is well respected in the San Diego martial arts community. He got his start in the world of martial arts at the young age of 5 in Paris, France, training under his father who was a 7th degree black belt in karate and expert 1 in Krav Maga. Benjamin then made his way to San Diego at 22 years old and discovered Krav Maga. He then trained for 10 years studying and perfecting his technique. His dedication to the craft of Krav Maga has gained him notoriety, recognition and honor among those in the San Diego area. As owner and head instructor at IKM San Diego, he is dedicated to making sure that all students learn and flourish as much as possible. During the 1930’s Imi Lichtenfeld, the founder of Krav Maga, was forced to protect both himself and his community against fascists. His experience in organized sport fighting (he was a member of the Slovakian National Wrestling team) plus his street fighting experience and training with his father all came together to help Imi develop a useful repertoire of self-defense techniques. This martial arts style continued to develop and eventually came to be known as Krav Maga. Krav Maga was brought to the US in 1981 and it quickly spiked an interest with the general public, but also with the FBI. It is currently the official system of self-defense used by the Israeli Defense Forces and is also taught to the Israeli police. The unique characteristic of Krav Maga is that it is not a sports style of martial arts, but rather focuses on real life self-defense and hand to hand combat situations. In addition to this, Krav Maga also emphasizes stopping threats quickly and getting away safely. Defense against weapons is also an important part of the curriculum. To put it concisely, instructors and students are taught to defeat threats and avoid harm through a variety of means or by any means necessary. They are also taught to never give up. The world we live in contains a lot of beauty and kindness. However, there are often occasional incidences which require people to know how to defend themselves. Knowing how to defend yourself is key when someone’s aim is to hurt you or take something from you. There are many different ways to do this. Many places, especially in California have training classes that people can attend in order to enhance their self-defense knowledge. However, taking one of these classes solely to hurt other people is a bad way to approach the art of self defense. For the correct way to learn basic self defense and a practical skill, you can turn to IKM San Diego. IKM San Diego instructors are your experts at Krav Maga in San Diego. It is true that many people turn to self-defense training in order to protect themselves from attackers, but it can also be a relaxing and fulfilling hobby to have. One of the most interesting and powerful types of self defense is Krav Maga. Krav Maga is a form of self defense that incorporates techniques from many other types of self defense, namely Muay Thai, Wing Chun, jiu-jitsu, wrestling, Judo, grappling, boxing and savate. It was developed by the Israeli military with the sole purpose of disabling opponents with extremely effective and brutal counter attacks. Krav Maga has now come to San Diego, so for more information on Krav Maga in San Diego contact instructor Benjamin Halcewicz at (858) 349-8795. The idea behind Krav Maga is to disable, not to maim, hurt or kill. It is used to disable a threat. There are many facilities in san diego that teach Krav Maga, however, the most trustworthy institution that will give you your money’s worth is IKM San Diego. IKM San Diego focuses on providing excellent training with instructors who are masters of the Krav Maga martial arts. The facilities at IKM are second to none and allow for plenty of room when trying to practice skill sets. IKM San Diego is the perfect place for beginners as well as more advanced students to learn and grow in a peaceful environment. Krav Maga is not known for uniforms or belts (IKM San Diego does not add any extra costs associated with things of this nature). In training, attempts to simulate real world situations outside of the training center are often utilized. For more information on Krav Maga in San Diego contact IKM San Diego at (858) 349-8795.